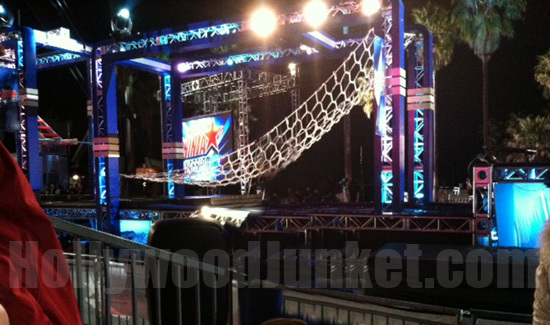 AMERICAN NINJA WARRIOR: Season 4 – Sneak-Peek! Eager crowds once again flocked to Venice Beach, CA to either put themselves through the treacherous ringer of a physical course that is “American Ninja Warrior” or to just watch-on as spectators to see who has a shot at being the first American Ninja Warrior at the final challenge traditionally held at Mt. Midoriyama in Japan. The show is gearing up for season 4 which will air both on G4 network and NBC. This year, the last portion of the try-outs occurred late night until early morning. On-lookers were there until about 4am when the last contender had completed the course. This time, the course included two netting challenges. The first, competitors had to climb the net from the bottom. The second net required them to go up it. “American Ninja Warrior” will be arriving to Dallas, TX next from March 14 -16th, then in Miami, FL from March 27-29th for challengers to try out on the course starting at 7 am. For the first time this year, “American Ninja Warrior” will hold it’s finale in Las Vegas. The winner receives $500,000. Shots of almost the full try-outs course. The course seen here at dusk. 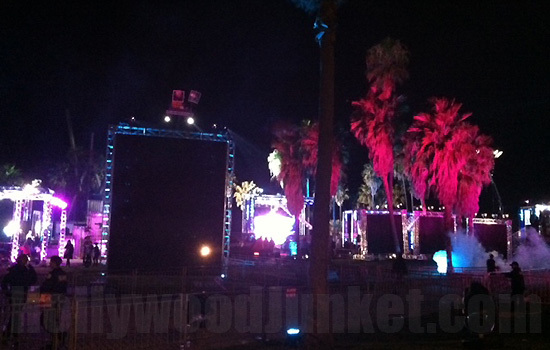 Try-outs were held at night for the 30 contenders at Venice Beach, CA. 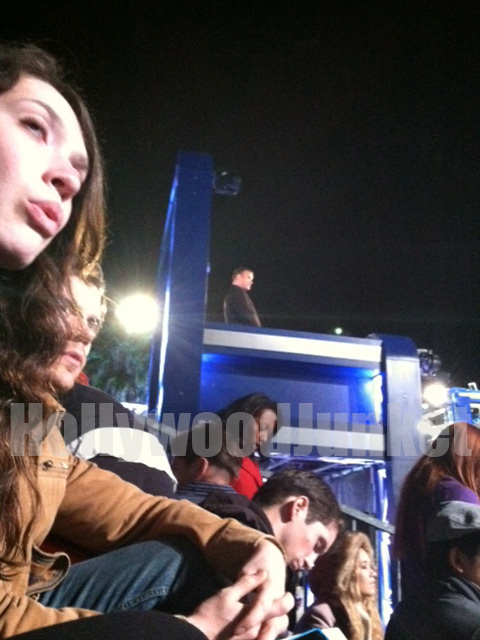 The crowd watches on as host Matt Iseman can be seen at his post. 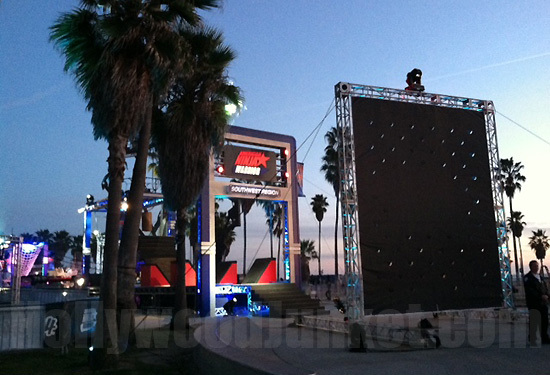 "American Ninja Warrior" set lights up the Venice Beach surroundings.